Some of my favorite weekend mornings are spent laying in bed drinking coffee and seeing how many kiddos and pups will pile in the bed with us to chit chat before we start the day. Missing one of the most influential people in my life something fierce 20 years later. She always knew the right thing to say to me when I needed it most. To know my Maw-Maw was to know genuine love. She was a huge source of strength and unconditional love and easily one of the most sincere people you’ve ever had the pleasure of knowing. Twenty years ago today she went home. There hasn’t been a single day since then that I haven’t thought of her. Some say time eases pain and possibly it does to an extent. But I’m certain she took a huge part of my heart with her when she took her last breath. She only got to hold one of my four children, but make no mistake all of them grew up knowing her name, stories about her, and over the last few years I’ve even begun teaching our little ladies how to cook some of her recipes. I’ll never stop missing her, but I’ll also never forget the tremendous impact she made on my life and how lucky I am to have been able to have her for my Maw-Maw. Grandparents are such a blessing to have around and I cherish the memories I have of mine. I’m 40 now. For some reason 30 terrified me. So much so that I jokingly pretended to be 29 for so long that I often had to ask Matt how old I really was. Even my lil monsters knew Mama turned 29 year after year. Somehow, I’m good with 40. Like really good. 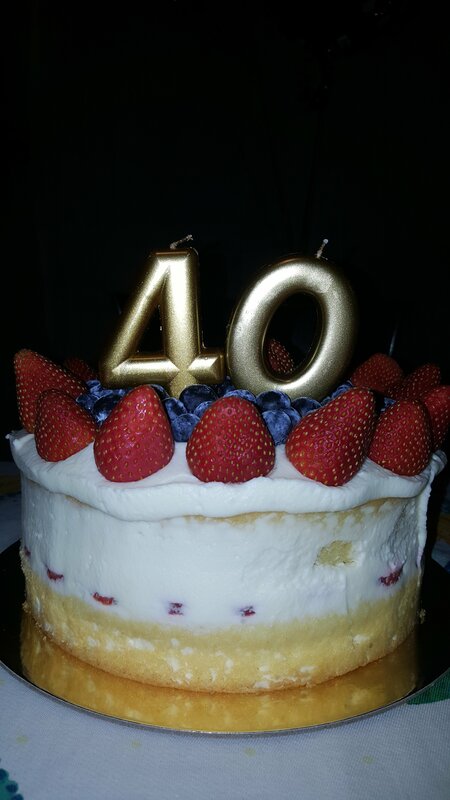 I AM 40! I am happy. I have an unwaivering faith in God. I’ve been married for over a decade to the most loving and supportive man I’ve ever known and somehow get to call mine. I am a mama to four truly incredible humans that I will forever be in awe of. I am the proud Maw-Maw to two precious little souls. I have a priceless bond with my parents. I’m a daughter in law and a mother in law to two special women. I have a closeness with some of my family that I wouldn’t trade for the world, even some cousins that have forever been more like a sister or brother to me. Friends I’ve had since we were kids and now get to watch our own children grow together. I’ve got friendships that I’ve built since relocating to Texas from New Orleans many many years ago. I have two sweet little senior pups that follow me around day in and day out (I admit this is because I’m the one that always slips them people food, but hey they love me and I’ll take it!). 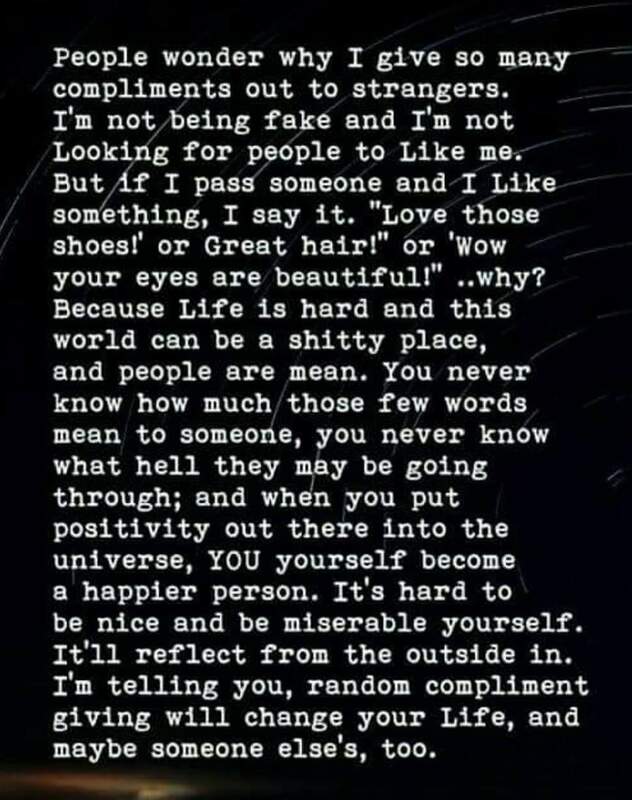 I am short, loud, sometimes spontaneous, wear my heart on my sleeve, am known to cuss like a sailor, have a raging temper when it comes to anyone messing with someone I love, tend to be a bit of an over thinker, mildly OCD, generally have trouble hiding my emotions be it happiness or anger, yet I’m one of the most sincere people to have in your corner. I am a family, friend, iced latte, Moscato, book, yoga, red lipstick, post it note, and children/animal loving lady. In the last decade we have made so many of our dreams come true. Our family has grown and reshaped in various ways. We moved into a home that we now get to watch children and grandchildren grow in due to my husband’s hard work for our family while encouraging me to be the stay at home mama I cherish being. We have traveled to interesting places both with our children as well as little getaways alone with my love. Some travels have been far away and sometimes only as far as our backyard. I am healthier than I’ve ever been. I can now keep up with my children and grandchildren on a trampoline, at theme parks, and on playgrounds. I have wrinkles that show the life I’ve lived. Some from worry, God knows I worry like no other, and some from lots of happiness and laughter. I have many grays that pop out before my next hair appointment and oddly enough even that doesn’t bother me, fingers crossed I get the streak in my hair that my Maw-Maw had. I’ve got stretch marks from carrying four children I was once told I wouldn’t have. I’ve got scars from more surgeries than I care to count. I’ve been hurt tremendously in my life time and I’ve also been loved beyond measure. So how could I possibly be distraught over turning forty? This feels like quite the privilege! So bring on the next decade of my life that I’m so blessed to be living. I look forward to celebrating more birthdays with the ones that love me most. To watching my husband bake me another beautiful cake while I sit across the counter from him sipping on a glass of wine and smiling so much it hurts. Listening to the most precious voices singing Happy birthday to me year after year. Dancing and (horribly) singing in our kitchen with our children and grandchildren while cooking dinner. I am so thankful to get to experience FORTY! I look forward to learning and growing in new ways. If I’ve learned nothing else in this life time it’s to forever know I will never stop learning from others. I will not always be right. It’s okay to admit fault or wrong doing and apologize sincerely. I am not and will never be perfect. My biggest teachers have always been my children and I’m certain I learn more from them alone daily than I could ever teach them. THIS is 40! 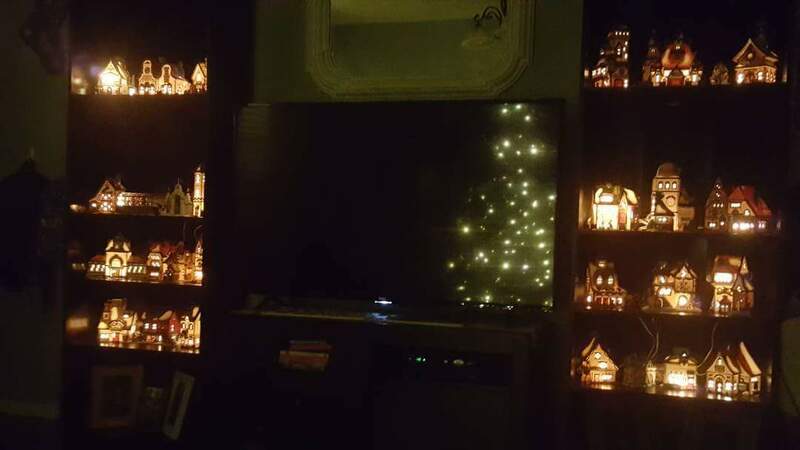 My mother in law gave us her north pole village, this is only a fraction of them. Incredibly beautiful and so thankful to have them in our home. She also gave us the nativity scene that Matt remembers his mom making in the early 80’s. Priceless family heirlooms that we will forever cherish. Had four generations in our home tonight for dinner. Doesn’t get much better than that. Thankful for the precious memories our family is able to build. 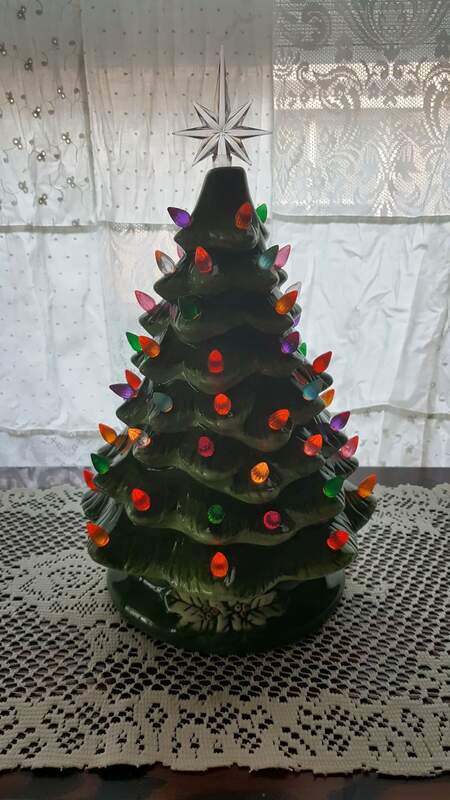 One of my favorite Christmas childhood memories at my Granny & Paw-Paw’s was their ceramic Christmas tree. After years of me talking about it to Matt he got me one to bring a little bit of their tradition into our home. Finally got our little iron sparrows hung in our bedroom that we found in Waco. Above pictures from our honeymoon in Jamaica and our 10 year anniversary trip to all of New England & New York. 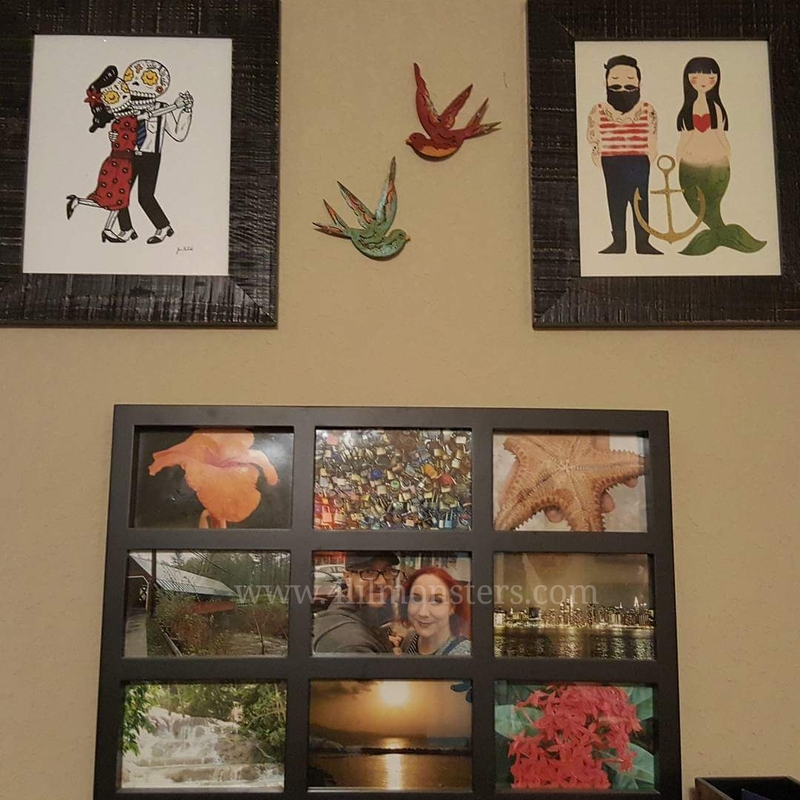 And between the sugar skull couple I ordered for our 10th anniversary from an artist we love in California and the sailor & mermaid we bought in Cape Cod from a local artist. Little things that make me smile and remember all of the beautiful memories we continue to build together. Something I learned from my Maw-Maw. 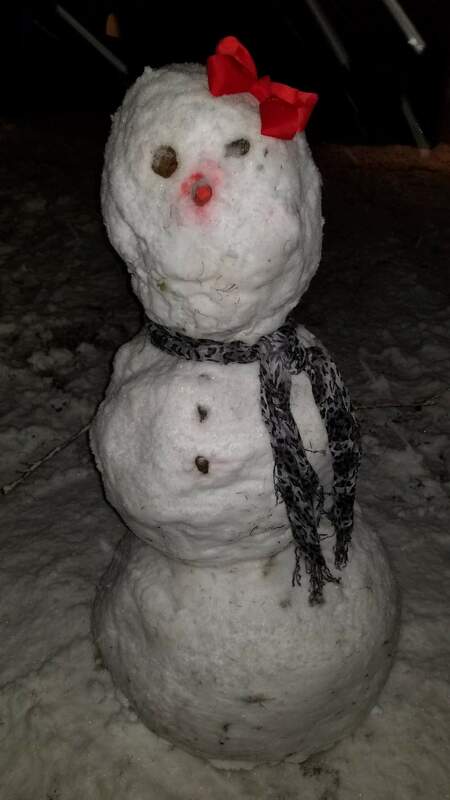 She always smiled at, complimented, and talked to strangers. She would tell me “I like to make people smile” and she always did.